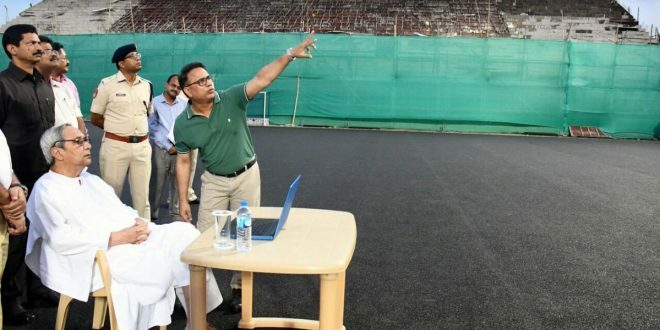 Bhubaneswar: Odisha Chief Minister Naveen Patnaik on Sunday reviewed the progress work at Kalinga Stadium for the Odisha Men’s Hockey World Cup 2018. 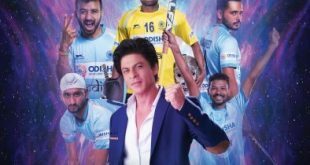 The Odisha Men’s Hockey World Cup 2018 is scheduled to be held in November-December at Kalinga Stadium this year. “Reviewed the progress of work at Kalinga Stadium & I am happy to see the pace of the beautification and modernization work,” said the Chief Minister. The Chief Minister said that he was assured that it will be completed well in time, ensuring a world-class hockey experience during Odisha Men’s Hockey World Cup 2018. 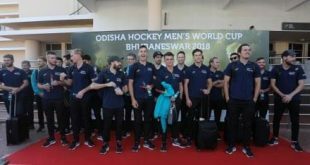 Preparations are in full swing ahead of the much anticipated Hockey Men’s World Cup, to be played from November 28 to 16 December at the iconic Kalinga Stadium. 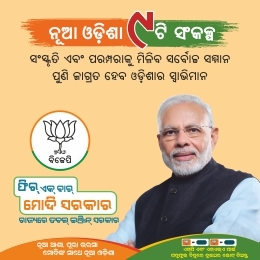 The Odisha government and Bhubaneswar Municipal Corporation (BMC) have been chalking out massive plans to give a facelift to the host city. 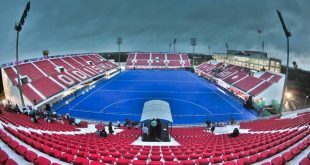 Several measures are being taken to improve the infrastructure, transportation and ambience for the biggest hockey competition.